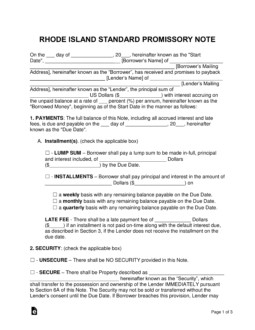 The Rhode Island promissory note templates are documents completed and signed by both parties involved in a money lending transaction. The lender of the monetary balance profits from the agreement by receiving payments over a scheduled period of time that consist of the original balance plus interest. 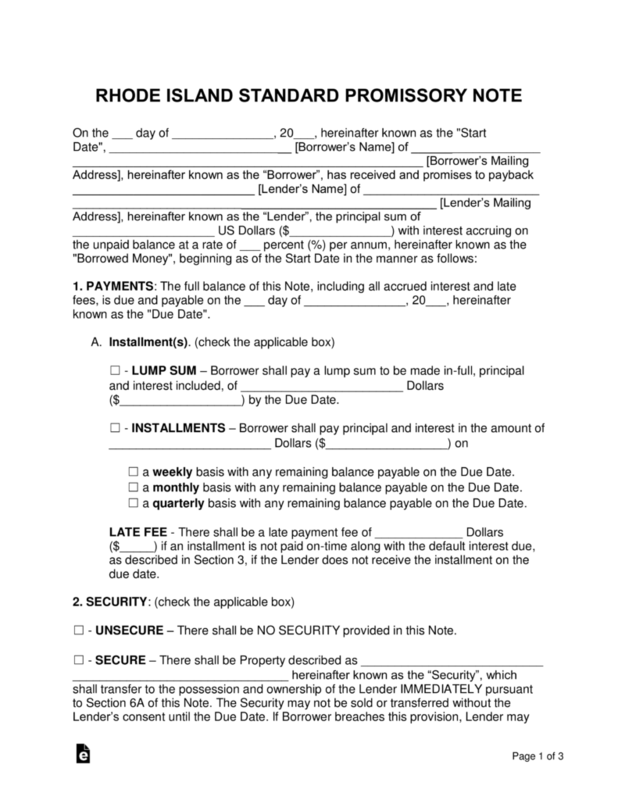 Secured Promissory Note – This template is secured by an item such as a home, vehicle, or boat. If the borrower were to enter into default that he or she could not recover from, the item in security would be given to the lender to help cover the amount of the unpaid balance. Unsecured Promissory Note – This template does not include security, resulting in an overall riskier transaction for the lender. To help reduce financial risk, the lender should screen potential borrowers to ensure they have strong credit.